General Camping passes are $25 /per-person, per-night. They can be purchased for Thursday-Sunday for General Camping areas in Redonda Vista / Harris Creek / Lupine Meadows. Good for tent camping or for use with self-contained RVs at non-electrical hook-up sites. General Camping spots are on a first come, first serve basis, and include the festival fees. Arrive early for the best camping locations. Water and picnic tables are available at many spots and there is always a fire pit nearby. This per person rate allows you to book now and plan vehicles and drivers later. As long as everyone in your car has a camping pass, there are no additional charges! (Ages 16 and under = free). 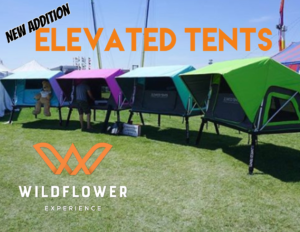 New for 2020, Elevated Tents! Limited Quantities available, so make sure to get yours now. “Elevate” your Wildflower Experience by pre-ordering yours today. An affordable luxurious amenity you can add on to your General Admission Camping for only $450. 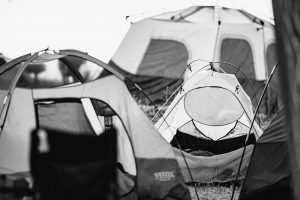 Eliminate the stress of setting up a tent when you arrive, and eliminate many of the major inconveniences of tent camping like rocks, critters, and uneven surfaces. 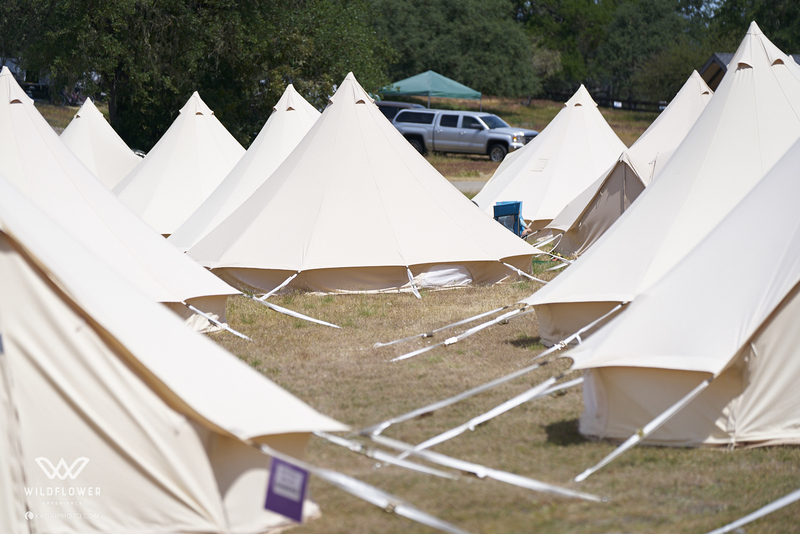 With plenty of room for 2 adults, your tent will be ready for you when you arrive, so just show up, check-in and begin your Wildflower Experience. 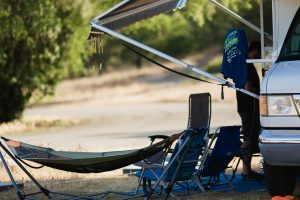 Located in Redonda Vista, these tents provide a flat even surface about 34 inches off the ground for maximum comfort and the great height for hanging out in the shade or getting ready. 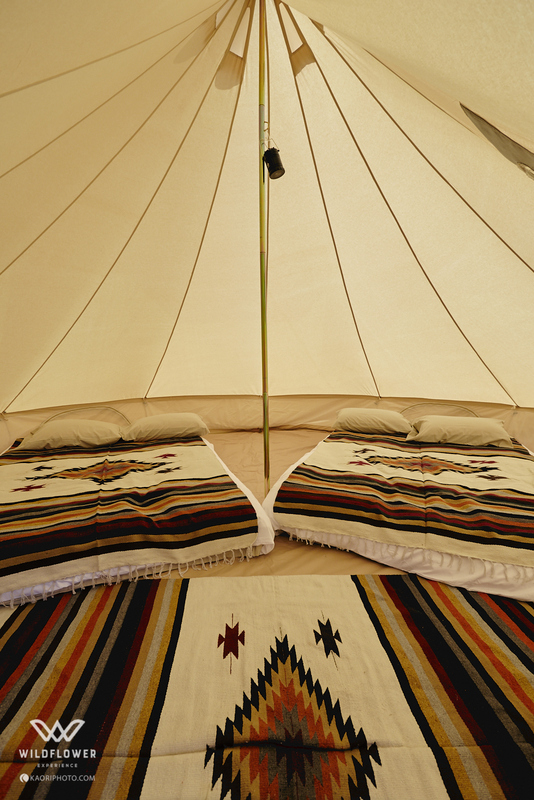 The bedding in the tent is a large comfortable memory foam mattress that is comparable to a queen-sized bed. Each tent has a lockable storage under the unit, 5 large windows for maximum airflow, and a built in canopy for shade. Coolers; chairs; bedding (either sleeping bags or queen sized bedding from home); a luggage lock for the storage compartment; and maybe a portable BBQ. Do you have an RV/Trailer and need an electrical hookup site? This weekend package covers the electrical hookup upgrade + nightly camping rate. You can specify your campground area choice Redonda Vista or Harris Creek during registration. These passes are not valid for Lynch sites, which are restricted to Sponsors, Exhibitors, Staff and Lakeside RV packages only. 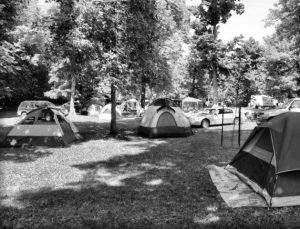 Upon arrival, you will be able to set up camp at one of the limited electrical hookup sites in your registered campground. These spaces are very limited (80 Redonda Vistas, 20 Harris Creek). Electrical RV Hook-up passes include Thursday-Sunday camping for all the people that arrive in the FIRST vehicle. Any additional guests arriving in a separate vehicle will need to purchase individual General Camping passes. 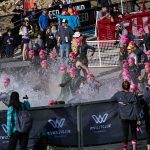 Our Wildflower Staff will be working closely with all registered Triathlon Teams & Clubs, with over 45 adult members attending the event for the weekend, to find sufficient group camping areas to accommodate the group. 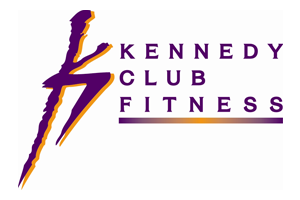 Teams & Clubs must register their members by March 15th to qualify for this benefit. Group areas do not include full hook up sites so these groups will need to bring a self-contained RV / Trailer units. 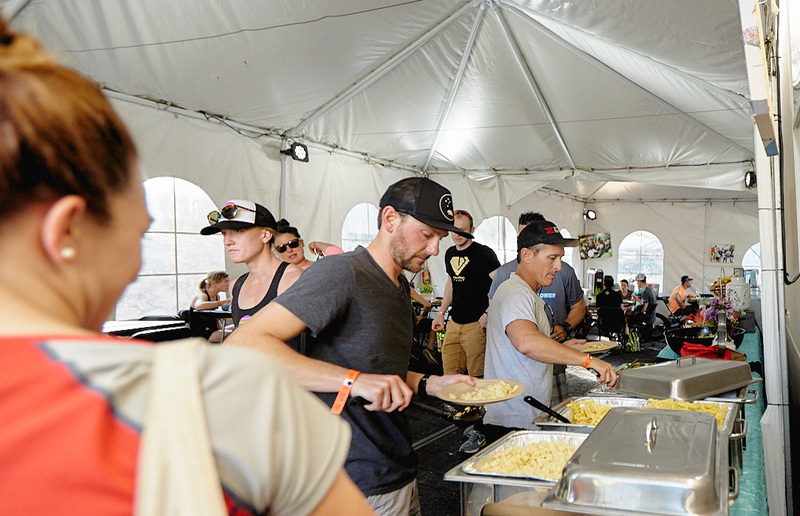 Members can register for General Camping passes, but must indicate their Club/Team/Group affiliation from the “Triathlon Club” drop-down menu during the camping registration process. How about camping without roughing it? 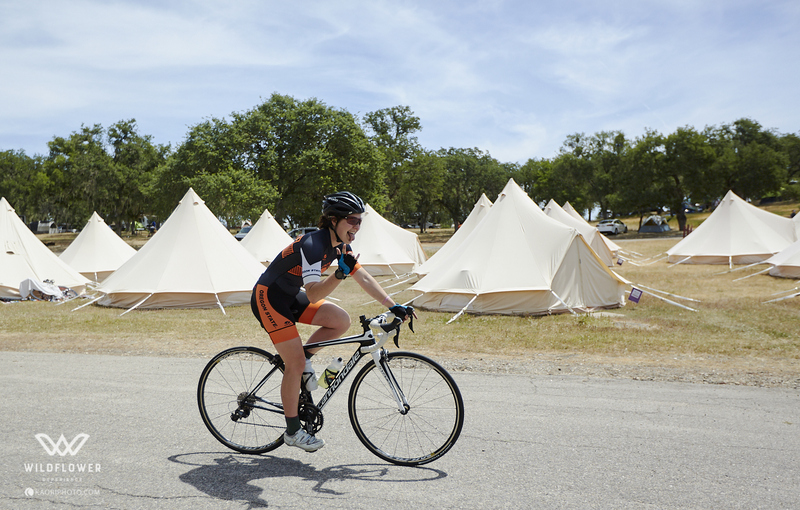 Experience the wonder and beauty of Lake San Antonio by staying in a Bell Tent! Centrally located in G-Loop of Redonda Vista, a spacious canvas tent and cozy option for those who want to camp comfortably and in style. There’s no doubt you will wake refreshed and ready to take on Wildflower. 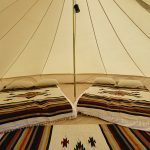 Bell tents are cozy, intimate spaces with personality, warmth and thoughtful touches. Let us do all the work of pitching, styling and packing down so that you have more time to relax. Includes: One Full bed, side chair with side table, lantern, and area rug. 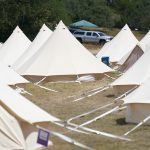 Community fire-pits and sun-brellas available for shared bell tent campers to use. (Not provided: Camping supplies / BBQs / etc.) *Second bed upgrade available for $150. Bell Tents include Thursday-Sunday camping for all the people that arrive in the FIRST vehicle. Any additional guests arriving in a separate vehicle will need to purchase individual General Camping passes. 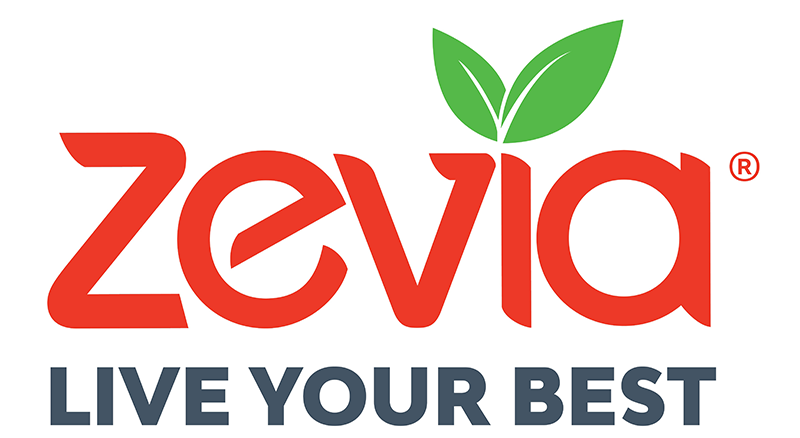 Build your own Wildflower Experience with an RV delivered, set up and waiting for you at your campsite. Our partners at Get Away RV will make it easy for those traveling without camping gear that want an easy, clean and affordable camping option. Get Away RV is the preferred RV rental service on the Central California Coast because they offer a huge variety in their fleet and unmatched personalized care & service! 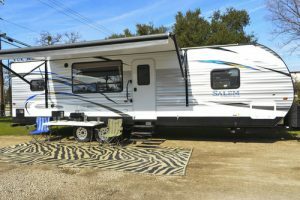 Get Away offers everything from trailers, fifth wheels to motorhomes and each unit comes with all the amenities of home. Get Away RV’s units come equipped with basic camping essentials: pots, pans, cooking utensils, coffee pot & toaster. For the outside, a rug, chairs and small gas BBQ are provided with no additional cost. Let Get Away RV Rentals make your next vacation unforgettable. 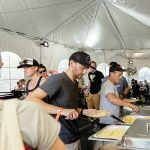 *Renters must also purchase camping pass(es) to enter the event, but it is highly suggested that renters get an Electical RV Hook-up camping pass. 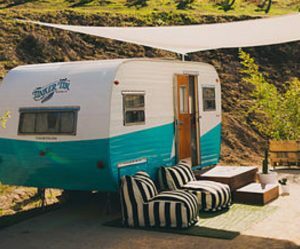 These vintage camper trailers are a unique and nostalgic way to take a step back in time, and enjoy the great outdoors and cherish a time once passed! All Tinker Tin trailers are delivered and set up in the VIP area in the Lynch Lakeside sites. Your trailer will be complete with vintage outdoor awning, chairs, fresh linens and towels, mattresses, all cookware, games, and firewood! Your VIP host will make sure your weekend stay will be full of relaxation and comfort. We know you’ll be talking about this Wildflower experience for years to come. The Tinker Package includes: VIP passes for two, Elite Meet and Greet, meals, happy hour each day and outerwear commemorative item. (includes camping and VIP festival passes for 2 adults and up to 2 youth) Limited availability! Our Lakeside RV spaces are nestled among all the action! 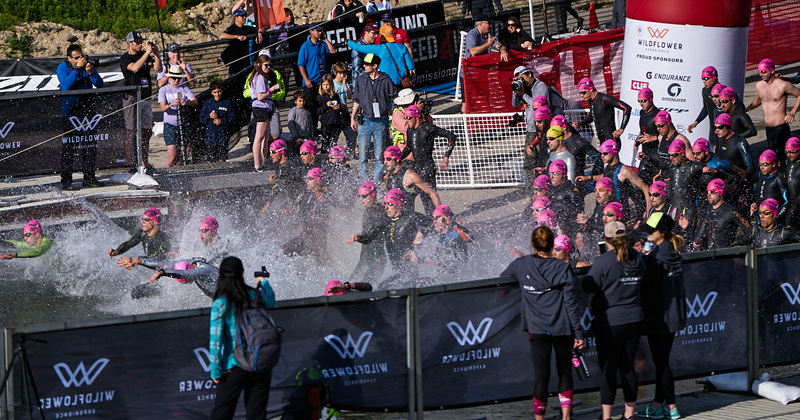 These coveted spaces line the water and overlook the legendary Wildflower swim start. Don’t miss this chance to be among the most convenient places in the park. You will be steps away from transition, finish line, and Lynch Festival Area! 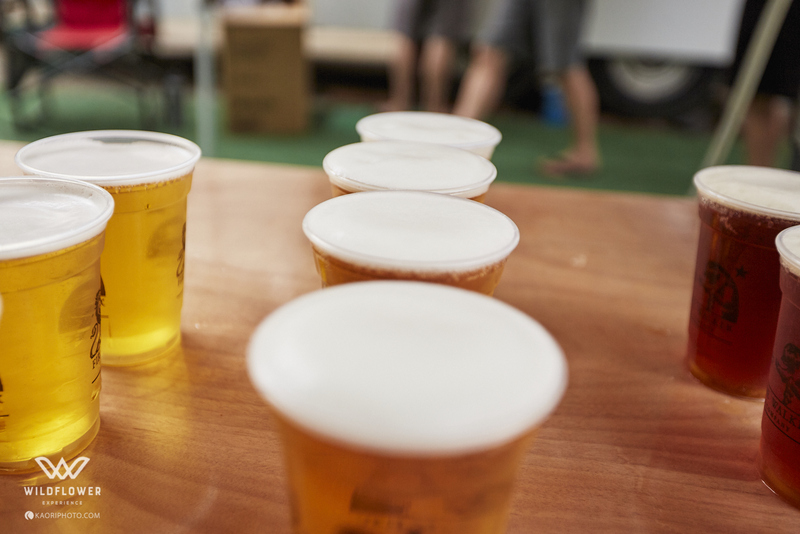 You may even want to host a race day party to cheer on your friends, family, and teammates. Limited to 20 spaces! This option includes Thursday-Sunday camping for all the people that arrive in the FIRST vehicle. Additional guests may join you by taking the footpath or shuttle down to your location. Only one additional vehicle pass may be purchased per site. Located 45 minutes south of the event site, is the charming town of Paso Robles. 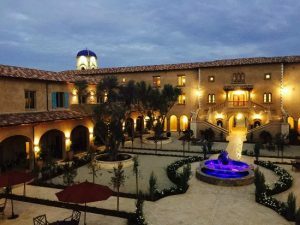 With so much to see, do, and experience in Paso Robles, you just might find yourself staying a little while longer. You can’t swing a wineglass without hitting lodging and accommodations suited for every taste, style and budget. Into hotels, inns and bed & breakfasts? Paso’s got you covered. Pre-purchased Daily Festival Rate is $10 per day. 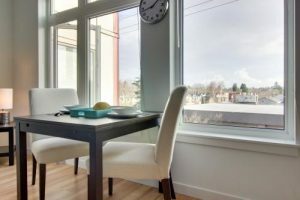 Charming, comfortable, and stylish vacation rentals small enough for a romantic getaway and large enough for families and groups. When searching for a vacation rental look in Bradley, Oak Shores, Lake Nacimiento, BeeRock, Bryson,or Paso Robles. 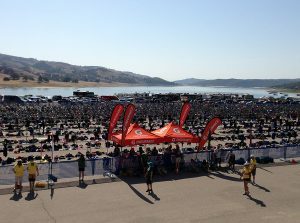 One of the nearest options is Oak Shores, a gated community located on the North Shore of Lake Nacimiento, just 8 miles from the event site. Vacation rentals may be booked through VBRO.com, Homeaway.com, Airbnb.com or any local vacation rental agency. Lake San Antonio is about one hour from either King City or Paso Robles. Once you reach the lake it may take from twenty minutes to an hour to get to the race site. Plan ahead. You can never arrive too early but you won’t want to be late. Parking is limited near the transition area. 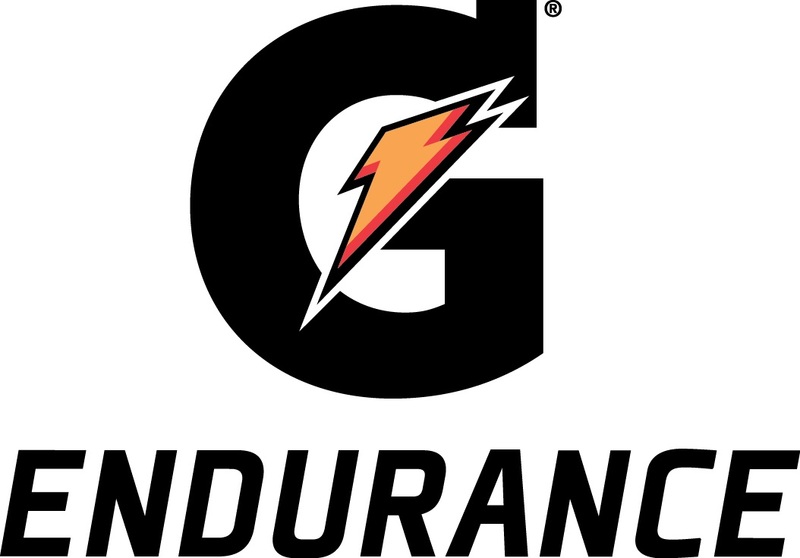 Triathletes on Saturday will be directed to park at an upper parking lot and walk or ride their bike and gear down the hill (1-2 miles) so come prepared. There is NO rain date. The event will continue rain or shine. In case of inclement weather, management reserves the right to cancel/alter/modify sites due to safety concerns. There will be no refunds of camping fees due to weather. Each attendee must accept any such risk of their entry fee paid. There is no complimentary camping at a future date. 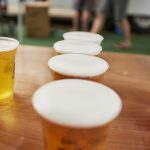 All monies collected are used to develop and produce the event, including site development, supplies, staffing, and administration. Any decision made to go forth with the event will be based on the overall event safety. Refunds: You may not give or sell your pass to anyone else. However, refunds are only allowed for an administration charge of $25 and must be submitted to Motiv Sports Registration prior to March 29th, 2019. Transfers: You may not give or sell your pass to anyone else. However, transfers are allowed for an administration charge of $25 and can be processed through your ACTIVE MyEvents account no later than April 20th, 2019. If you want to transfer a Premium Camping Option that is currently sold out, you will need to contact Motiv Registration using the button below. If you transfer your pass, you will receive a refund (minus the $25 administration charge) once the new participant signs up. The new attendee will need to pay the full entry fee at the time of the transfer. This process is in place to avoid any fraudulent sales.